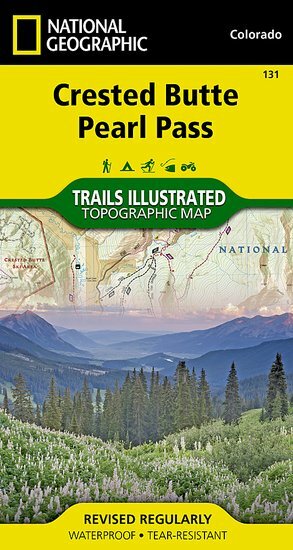 Trails Illustrated Crested Butte/Pearl Pass Trail Map [ti131] - $10.95 : Trail Explorers Outpost, Keeping the Adventure Alive! 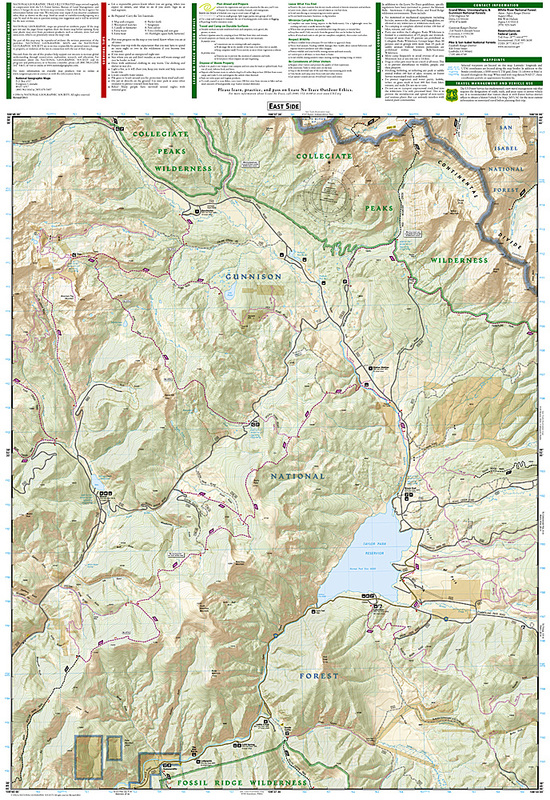 National Geographic’s Trails Illustrated map of Crested Butte and Pearl Pass offers unparalleled detail for outdoor enthusiasts seeking to enjoy the year-round recreational opportunities available in this mountainous area on the west side of the Continental Divide. 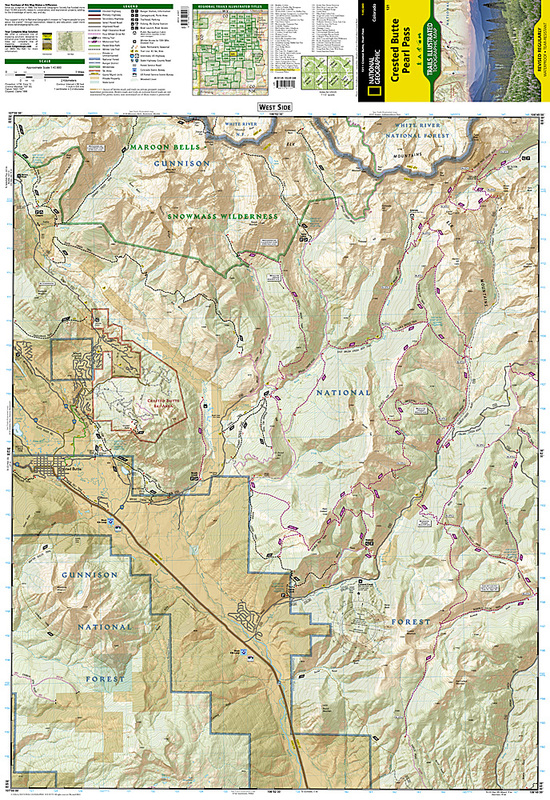 Created in partnership with the U.S. Forest Service, Bureau of Land Management and others, this expertly researched map covers key areas of interest including Gunnison National Forest, Maroon Bells-Snowmass and Collegiate Peaks Wilderness areas, Crested Butte Ski Area, Elk Mountains, Taylor River, Taylor Park Reservoir, West Elk Loop Scenic Byway and the Continental Divide.